Ohio is a land of diverse geological features. Among the most unusual and spectacular formations are its natural rock bridges. Ohio has at least 12 such bridges. 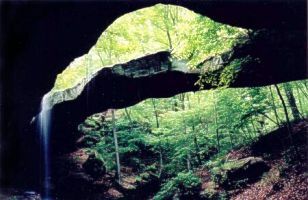 These bridges (or stone arches) have been found primarily in the area characterized by massive sandstone outcroppings in south central and eastern Ohio. 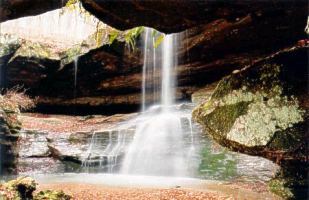 Very few have been discovered in the limestone region of southwest Ohio although natural bridges are often associated with such weathered limestone topography. View Rockbridge's Hiking Trail Map.